Even if you are not an Apple fan, it cannot be denied that iTunes changed the way you listen to music on your personal computer – it is so good that even if you do not have any Apple devices, you may have iTunes installed. 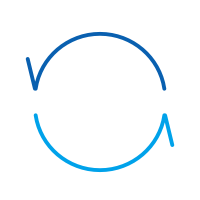 The program’s biggest selling point is its ability to sync its content across various Apple devices. However, if your mobile devices are running on Android many people mistakenly think there is no way you can sync iTunes with your Android devices, there is definitely a way. Most people assume there is no way you can sync Google Play with iTunes when in fact there are several ways you can perform Google Play Music – iTunes sync. Here we will discuss how to sync iTunes with Google Play. This is the most seamless method to sync music from iTunes to Google Play universe. All recently released Android devices comes pre-installed with the app. Each users get enough storage to store up to 20,000 songs in your account. 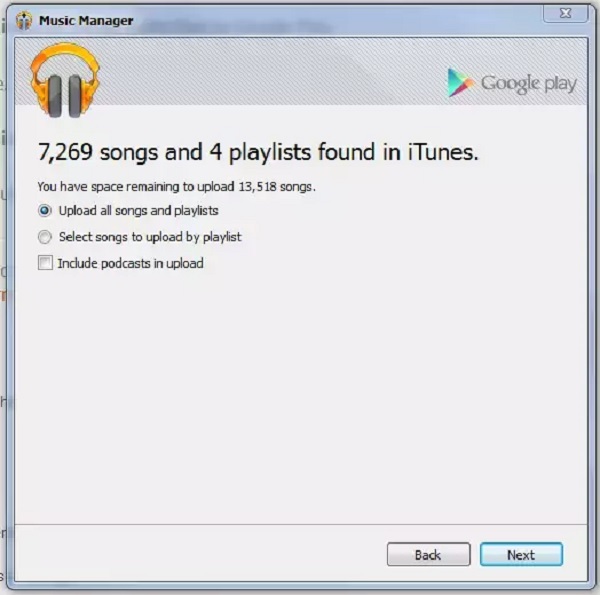 Google Play Music has a desktop version that can be downloaded and installed on Mac or Windows operated computers. 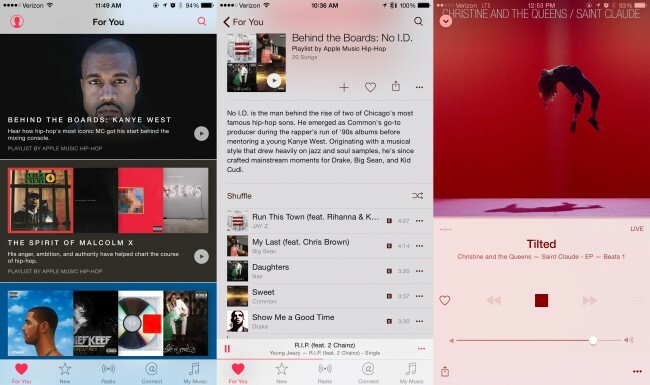 This makes it easier for users to transfer music between devices. Open Google Play Music on your internet browser and log into your Google account. Click “Upload Music” located on the upper right-hand corner of the window. In the new window, click “Download Music Manager” and follow the installation instructions to get it up and running on your computer. 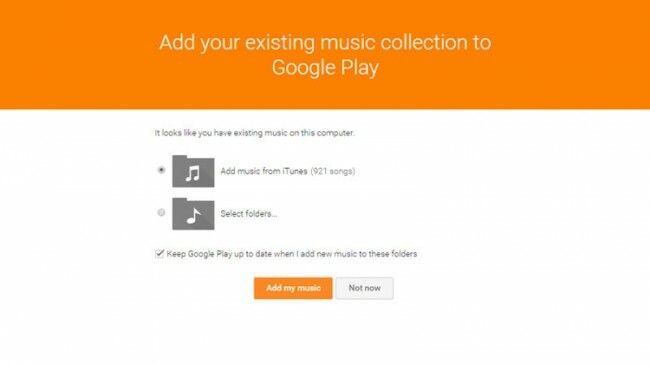 Once you have set up Google Play Music, direct the program to your iTunes library. Click “Next” to start music upload iTunes to Google Play. Download the app on your Android device and sign in using your Google account. You will automatically be able to stream music from your digital collection. It is the perfect way to address the “how to sync iTunes to Google Play?” question without the need to acquire multiple apps or additional costs. The downside of using this method is that the program only upload music on the cloud without downloading it in your local device storage. This simply means that you will need to be online to access music on your mobile device. Is there any solution to sync iTunes music to Android using USB cable? Step 1. 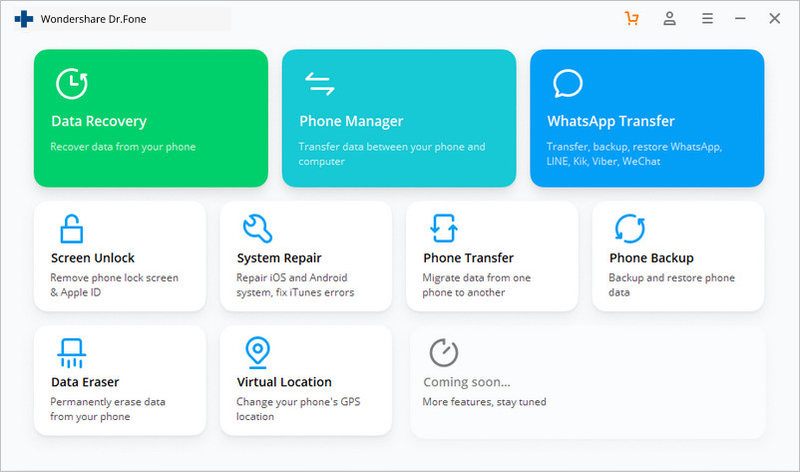 Launch dr.fone, and connect your Android phone to PC. In the main interface that appears, click the "Transfer" option. Step 2. A new window is consequently brought up. 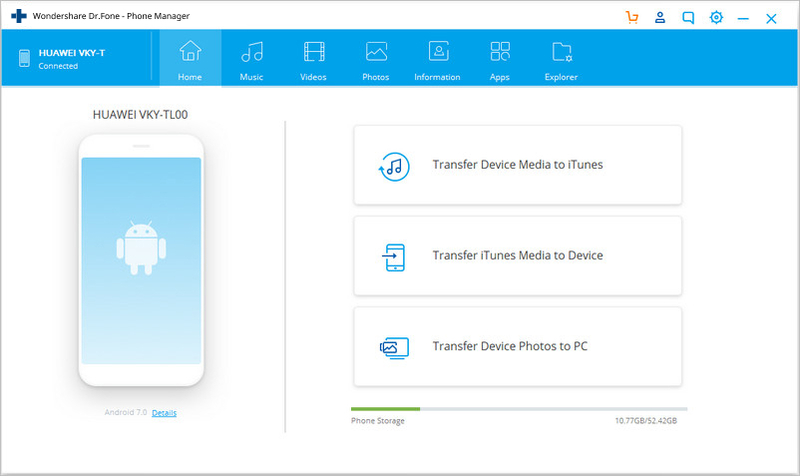 Click Transfer iTunes Media to Device on the interface. Step 3. 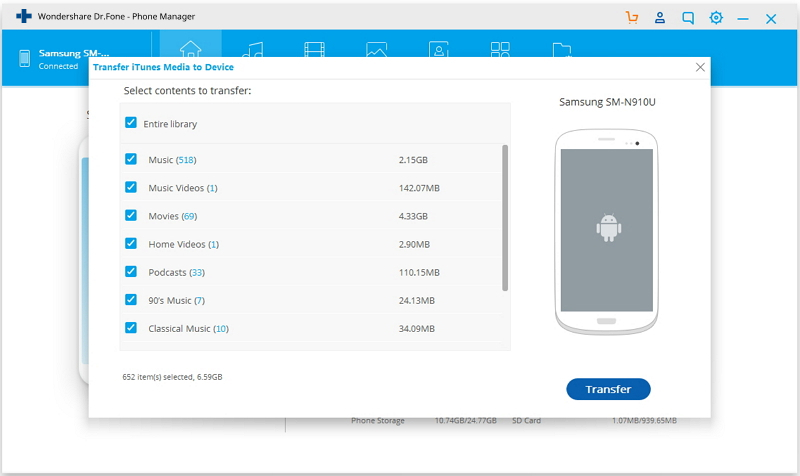 Check options and click "Transfer" to start to copy media from iTunes to Android. For an even easier way to getting all of your purchased content from iTunes to Google Music, get Apple Music for Android. The downside of this app is that you need to fork up $10 each month to use the app. Since it is a relatively young app, there are some programming issues to transfer iTunes to Google Play that could be caused by the different formatting between the two operating systems. 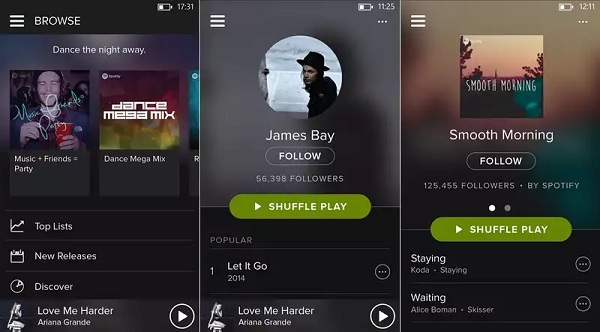 Spotify is a great app that can help you perform iTunes download for Android; the bad news is that you will need to have a premium subscription that will cost you $10 monthly. You can either 1) import local files from your computer by going to Edit > Preference to select the iTunes folder and the tracks you want to import, or 2) import the whole playlist by going to File > Import > Playlist > iTunes on your desktop. To access these songs, download and install the application on your Android device. You should be able to stream the music online or offline (you will need to enable this option for it to work). If you are unwilling to pay anything to perform iTunes – Google Play sync, you can always use the drag-and-drop method. 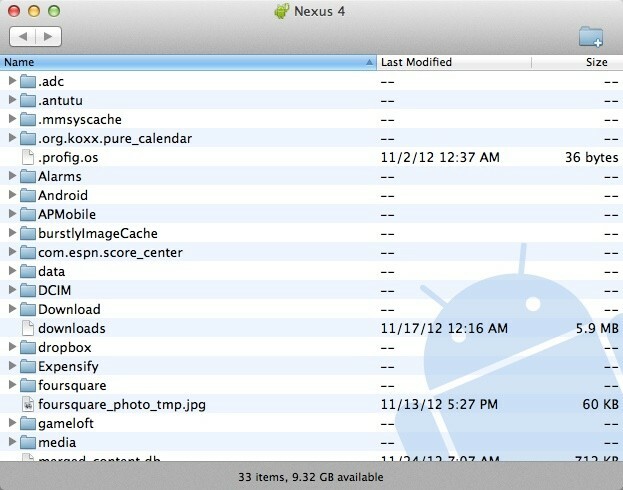 You will need a microUSB cable and an Android file transfer software to connect your device to your computer. Once you get a workable connection, find the music library on your computer. On a Mac, you should be able to find it in Music > iTunes > iTunes Media while on a Windows PC, it is located at My Music > iTunes. 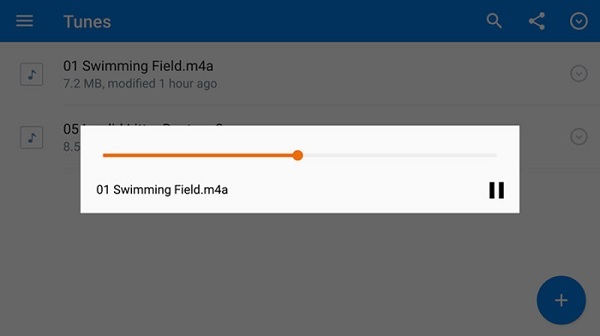 Select the audio files and drag it to your Android music folder. Release your hold on the mouse to drop the files in the designated folder. This is a fail-proof method, but it is not exactly the most convenient. Cloud storage providers like Dropbox and Google Drive is able to sync files from your iTunes folder to your Android device. When upload is complete, you should be able to play the songs from their respective mobile apps. Do note that this is not an easy method – it will not work for some types of audio files. As you can see, there are plenty of ways for you to enjoy music purchased from iTunes on your Android device. In theory, you could probably save yourself the hassle by buying the songs that you like from the Android Market from your Android device. However, this is probably not the ideal way to enjoy your music collection. 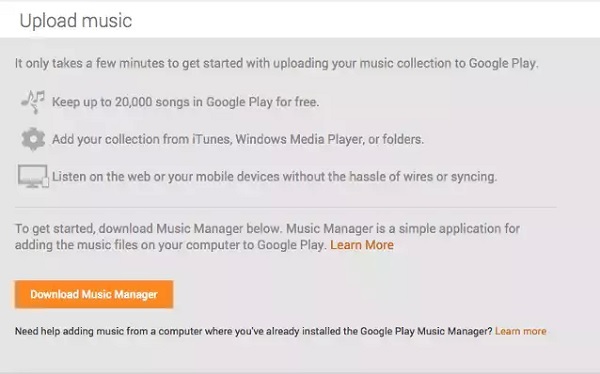 Using Google Play Music the ideal method as it has a web interface, the upload client and Android app so that you can play your music from any devices you wish anywhere you are. Hopefully, this is will help you figure out the best way you want to address the “how to sync iTunes to Google Play?” question. Download and install extra iTunes visualizer to get more fun from iTunes. 5 Beautiful iTunes visualizers are shared here, and pick out your favorites. Cannot connect to App Store on iPhone? Learn how to fix it promptly with over 10 solutions for you.